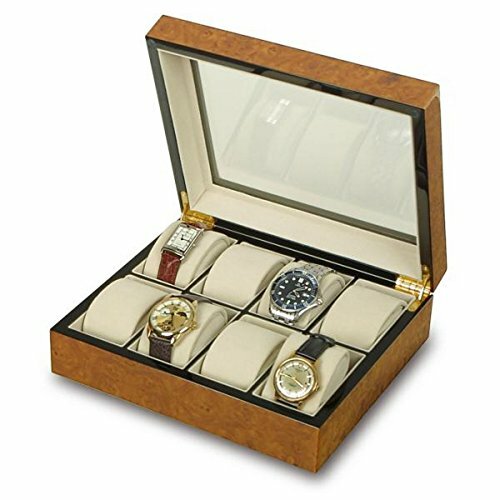 This watch box, with a glass-top display, from reputable Rapport London is crafted in a high polished burr walnut wood. It can hold up to eight watches in beige velveteen, cushioned compartments. If you have any questions about this product by Allurez, contact us by completing and submitting the form below. If you are looking for a specif part number, please include it with your message.